We've partnered with Discovery RE to enable participating schools to use their assessment statements in Insight. If you're already using the scheme and would like to assess these in Insight, you can contact Discovery RE who'll authorise us to turn these on for you. Discovery RE is a comprehensive set of detailed medium-term planning for Religious Education for 3-11 year-olds. 59 Enquiry modules (each with 6 lessons) covering Christianity, Buddhism, Hinduism, Islam, Judaism and Sikhism support the teacher to deliver engaging and challenging RE lessons with confidence. Christianity is taught in every year group, with Christmas and Easter given fresh treatment each year, developing children’s learning in a progressive way. 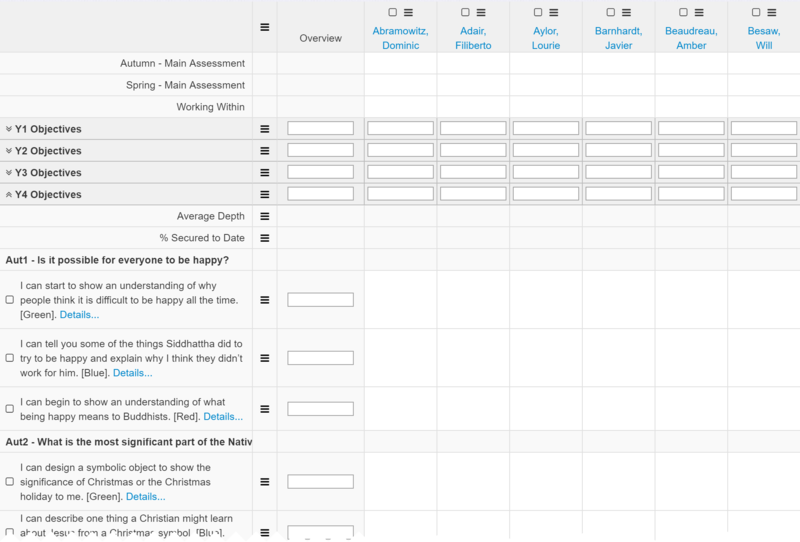 Discovery RE’s assessment system allows teachers to easily assess and track pupil progress. Discovery RE also contains mapping documents that demonstrate how the scheme fully supports SMSC, British Values, the requirements of locally agreed syllabi and Understanding Christianity. More information is available via the website https://discoveryschemeofwork.com or by calling +44 (0)1202 377192. There are three statements for each colour which represent children’s learning at a ‘Working towards’ level, a ‘Working at’ level (age expectation), and a ‘Working beyond’ level. 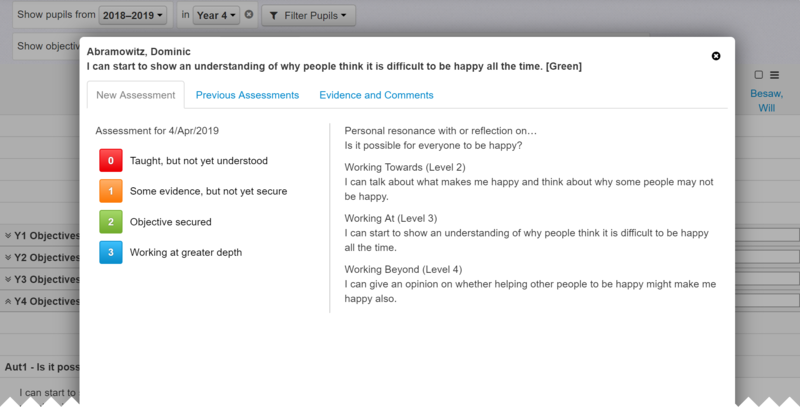 The system has been designed so that teachers can assess at the end of an enquiry and highlight one green, one blue and one red descriptor per child. Over time the colour coding allows teachers to see if children are excelling or struggling with a particular aspect of RE. For example, at the end of Year 1, when a child has completed 6 enquiries (modules) a child may be ‘working at’ for all the blue descriptors but is ‘working beyond’ for the green and red statements. This allows teachers to support pupils appropriately and also provides a useful reporting mechanism for end of year reports in terms of RE knowledge and skills development. The term and enquiry name have been added as the Strand. Within each strand, the "Working at" statements for the three aspects of learning have been added as the objectives, with the aspect colour indicated in brackets after the statement. The Working Towards and Working Beyond statements that correlate to each aspect of learning have been included as "additional details". This helps teachers make an assessment of a 0, 1, 2 or 3 for each aspect. For more information or if you need any help, just contact support.